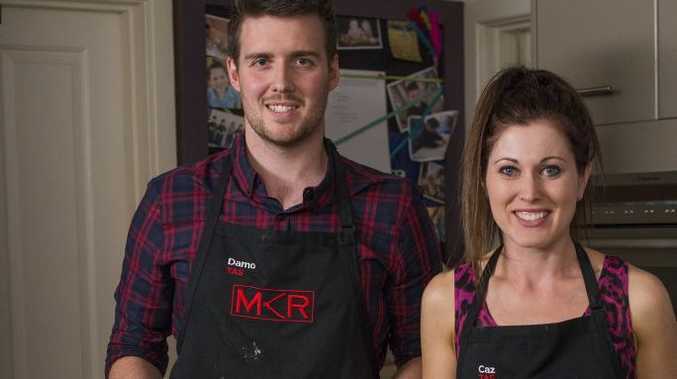 MY Kitchen Rules is back, and like a calorie-laden comfort food it's the familiar format you remember. A new crop of 18 teams of amateur cooks has been assembled for the reality cooking show's eighth season. 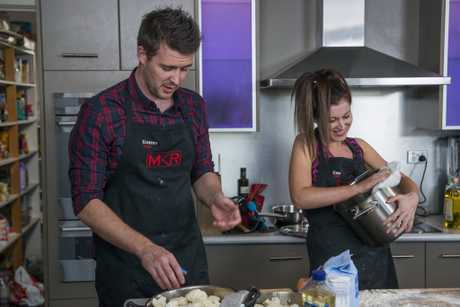 Tassie parents Damo and Caz Aherne were the first cab off the rank, serving up a respectable three-course meal for hosts Manu Feildel and Pete Evans and their competitors. The Bernie-based sweethearts didn't set the world on fire with their food, but at least they didn't set off the smoke alarms (as past teams have done). While Manu usually asks for more sauce, the Frenchman asked Damo for more truffle on his entree - truffle and cauliflower soup. "If you grate enough to cover the plate then every spoon you have has got the same flavour," he said. "In saying that, this was a really good entrée to start. The texture is silky and creamy." At the dinner table, 'angry' Brisbane Uber driver Tyson 's harsh criticism of the 'disappointing' food made him a top-trending talking point across social media. He also got into a debate with Kyle over the best way to cook a steak. Perhaps Damo should have been listening, as he let the steaks for the main course rest too long to be served medium rare. "The way you rest steak is crucial," Manu said. "The bearnaise, Caz, (is) delicious." Their dessert, an apple and crumble cheesecake, also left something to be desired. "I'm really loving all of the layers in here but I find the whole ensemble together too dense and too heavy," Manu said. "I think perhaps it has been in the fridge for a long time and it's quite set. For me, I think of cheesecake as being quite light." Best friends David and Betty will host their instant restaurant tomorrow night. Fisticuffs at the dinner table on My Kitchen Rules?